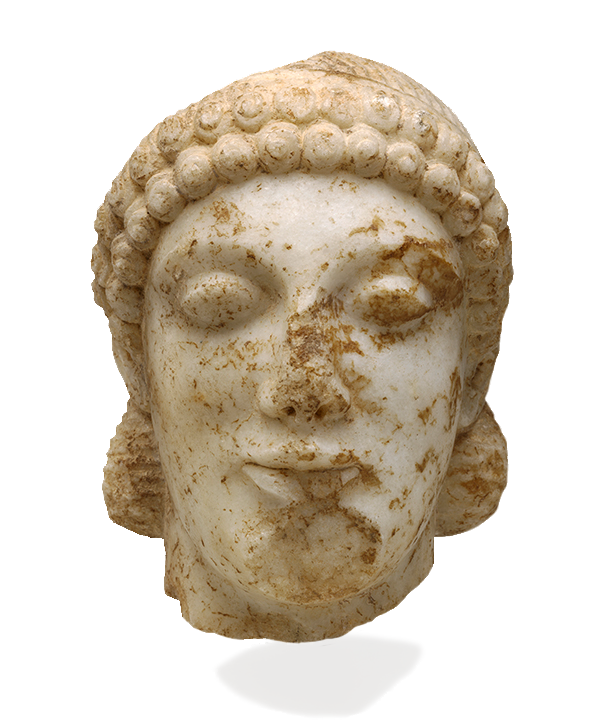 The ancient art collection spans more than 4,000 years of the Near Eastern, Egyptian, Greek and Roman civilizations. 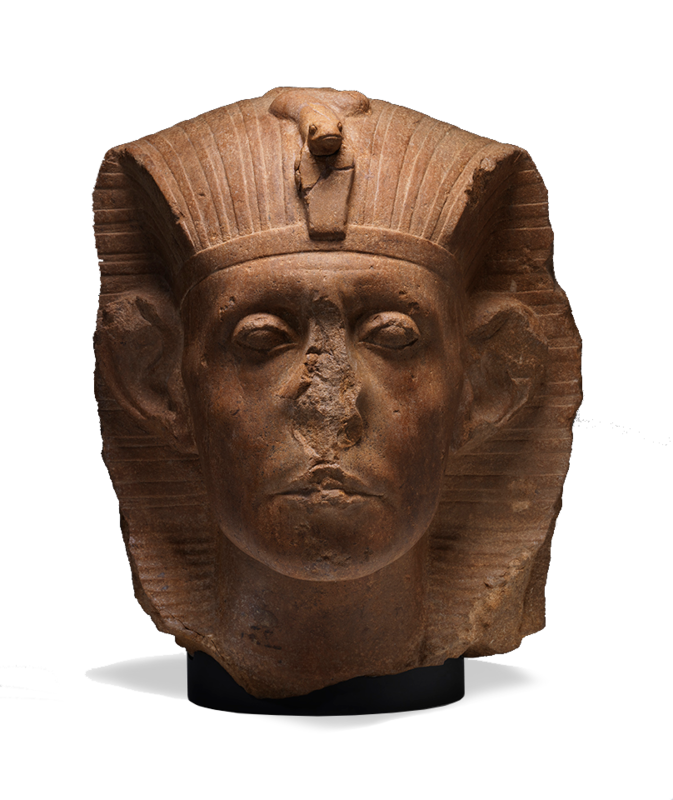 The Egyptian galleries boast stone portraits of famous kings and queens from Sen-useret III to Ramses II, from Nefert-iti to the Ptolemies. The acquisition in 2007 of the funerary equipment of the lady Meret-it-es—two coffins, cartonnage and 304 servant statues—occupies almost an entire gallery. The Near Eastern collection includes jewelry obtained from the early cemetery of kings and queens at Ur and sculptures from the 1st-millennium B.C.E. Palace of Ashurnasirpal II in Nimrud and the ceremonial center of the Persian Empire, Persepolis. Sculptures and vases principally from the 5th to 1st centuries B.C.E. comprise the Greek collection. Powerful marble images of the great gods, such as Demeter and Helios, stand near bronze statuettes of a satyr and young athlete, while a marble head of a young boy appears next to a painted terra-cotta of the god Apollo. 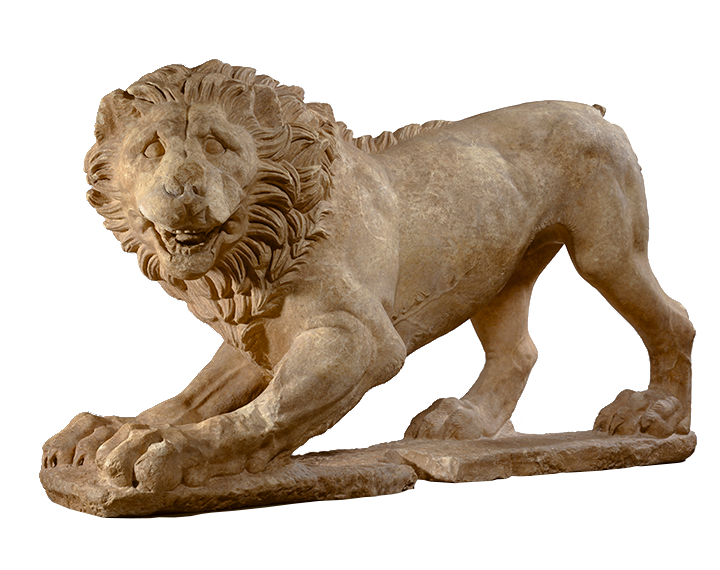 The museum’s Roman art is strong in sculpture from the 2nd century C.E., and the following century of turmoil. Private portraits vie in power and character with portraits of such emperors as Hadrian and Alexander Severus. 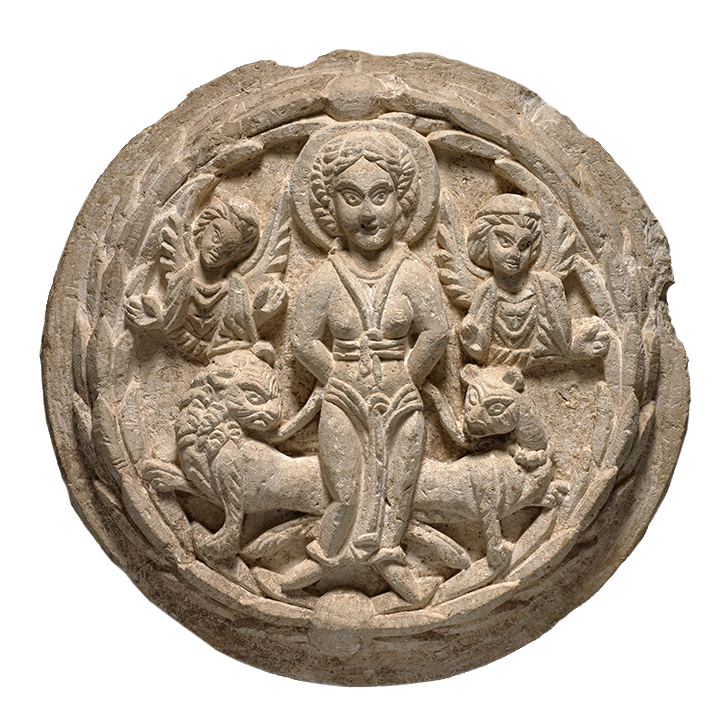 A small ensemble of art from the 4th-to-7th-century Early Christian period completes the collection. Outstanding among them is the image of Thecla, the legendary first female martyr of the Church. 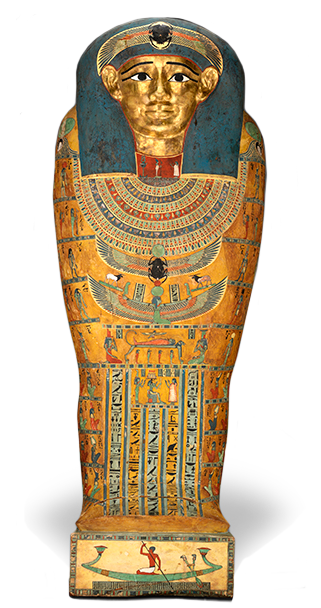 Inner Coffin of Meret-it-es, Egyptian, Late Period to Ptolemaic Period, 30th Dynasty to early Ptolemaic Dynasty, ca. 380-250 B.C.E Wood, pigment, gesso, and gilding, A (top): 6 feet 3 1/2 inches x 33 1/2 inches x 15 inches, B (bottom): 7 feet 3 inches x 32 1/2 inches x 8 1/2 inches. Purchase: William Rockhill Nelson Trust (by exchange), 2007.12.2.A,B. Statue of Metjetji, ca. 2375-2345 B.C.E. 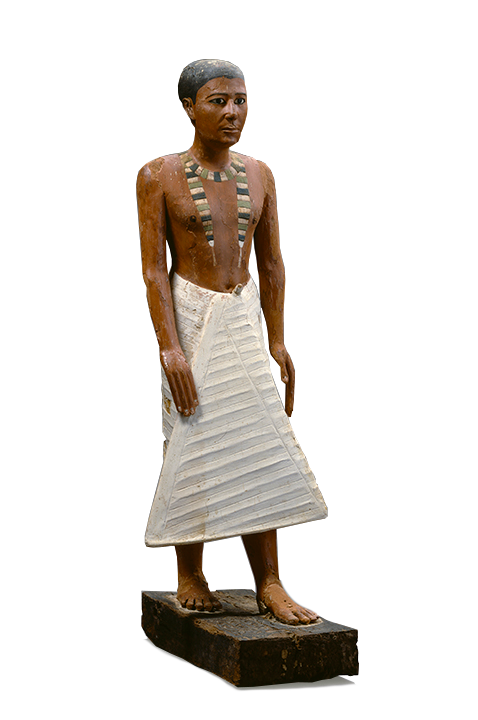 Statue of Metjetji, Egyptian, ca. 2375-2345 B.C.E. Wood and gesso with paint, copper, alabaster and obsidian, 31 5/8 x 6 3/8 x 15 5/16 inches. Purchase: William Rockhill Nelson Trust, 51.1. Head of Sen-useret III, ca. 1874-1855 B.C.E..
Head of Sen-useret III, Egyptian, ca. 1874-1855 B.C.E., Middle Kingdom, 12th Dynasty. Yellow quartzite, 17 3/4 x 13 1/2 x 17 inches. Purchase: William Rockhill Nelson Trust, 62-11. Saint Thecla, 5th century C.E. Saint Thecla, from Egypt, possibly Oxyrhyncus or nearby, 5th century C.E. Limestone, 3 3/4 x 25 1/2 inches. Purchase: William Rockhill Nelson Trust, 48-10. Boundary Stele with Queen Nefertiti and Princess Maketaten, ca. 1353-1336 B.C.E. 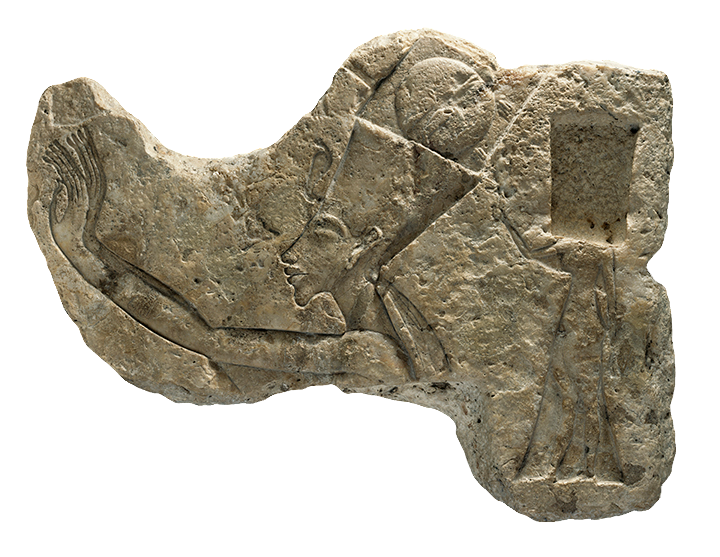 Boundary Stele with Queen Nefertiti and Princess Maketaten, Egyptian, from Tell el-Amarna, ca. 1353-1336 B.C.E., New Kingdom, 18th Dynasty. Nummulitic limestone, 21 x 27 1/2 inches. Purchase: William Rockhill Nelson Trust, 44-65. Funerary Portrait of a Woman, ca. 120-130 C.E. 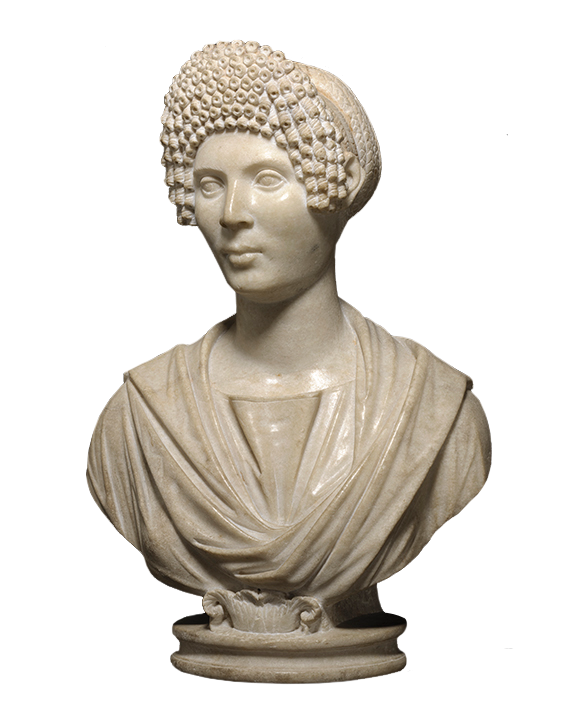 Funerary Portrait of a Woman, Roman, ca. 120-130 C.E. Marble, 25 x 17 x 9 1/2 inches. Purchase: William Rockhill Nelson Trust, 48-9. Winged Genie Fertilizing a Date Tree, 884-860 B.C.E. 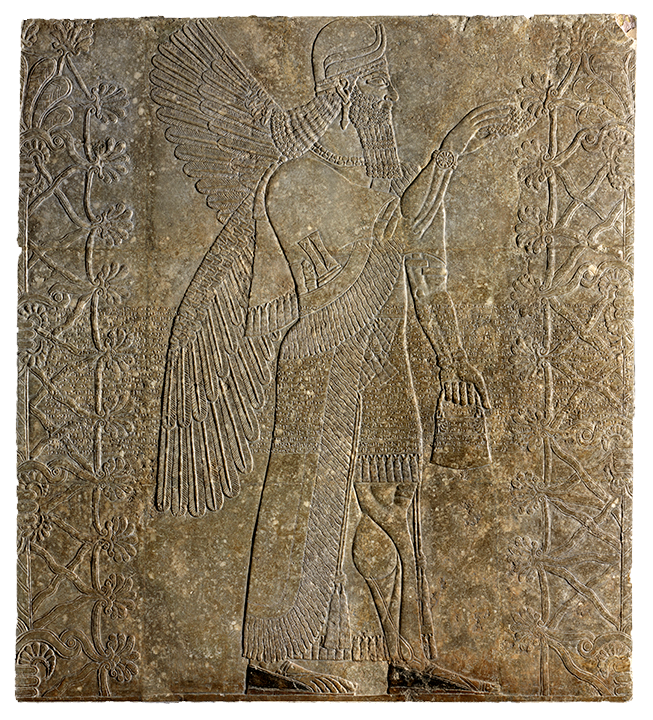 Winged Genie Fertilizing a Date Tree, Assyrian, from Nimrud, 884-860 B.C.E. Limestone, 91 1/4 x 71 1/4 inches. Purchase: William Rockhill Nelson Trust, 40-17. Portrait of a Roman Youth,mid-2nd century C.E. Portrait of a Roman Youth, from Italy, mid-2nd century C.E. Marble, 66 1/4 x 17 x 14 inches. The Nelson-Atkins Museum of Art, Kansas City, Missouri. Purchase: William Rockhill Nelson Trust, 34-91/1. Kouros (Boy), ca. 490 B.C.E. 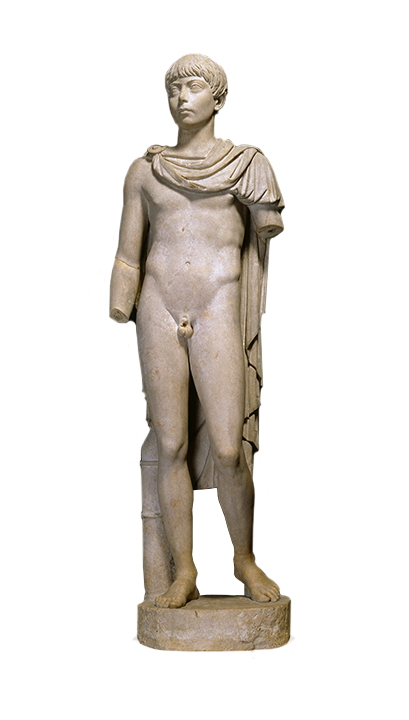 Kouros (Boy), Probably from Attica, ca. 490 B.C.E. Marble, 7 1/2 x 5 1/2 inches. Purchase: William Rockhill Nelson Trust, 38-7. Lion, Greek (Attica), ca. 325 B.C.E. Marble, 44 1/2 x 80 1/2 x 22 3/4 inches. Purchase: William Rockhill Nelson Trust, 33-94.